I hope that the past weekend was good for you and you are now well-rested for the week ahead. This week, I'm going to dedicate the posts to 2013. We are already at week 3 of 2014 and if I don't blog about it now, it will be way too late. Instead of compiling everything into one post, I'm going to split up and do it in 3 entries. To start things off, I shall write about the best of Nails Talk. Nails Talk was started back in 2012 as a platform for me to share my collection of nail polishes and nail art creations. It was only last year that I put in more effort into managing Nails Talk and wrote 34 entries. It's isn't a lot but there were many more entries on Instagram which did not make their way here. 2013 saw me practicing more and trying out different forms of nail art but I feel that it's still not enough. This year I hope to update Nails Talk regularly and trying out more nail art. It's funny how when I first started painting my nails more than 10 years ago, I was so eager to try out different designs but these days I'm contented with just painting my nails. I attribute this to being introduce to indie polishes. Ever since I was introduced to indie polishes, it was like my eyes were opened to another world. Glitter, duo-chrome, multi-chrome, holos, glow in the dark and thermal polishes. 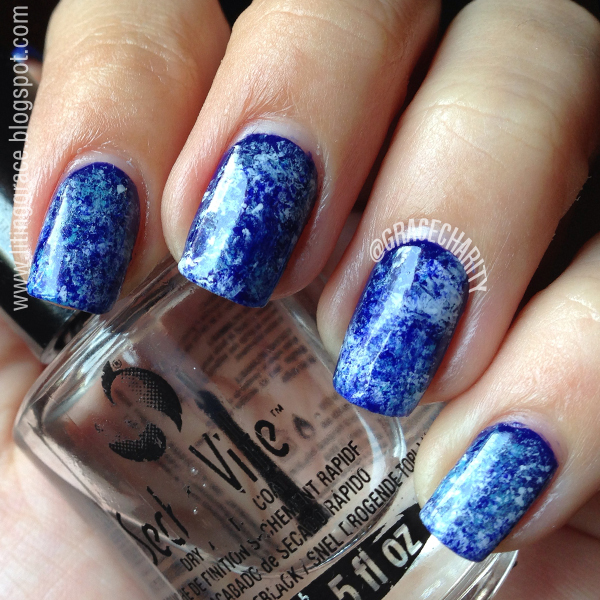 Gorgeous on their own but combining different types of polishes created another look. That was why I became lazy and stop doing nail art. Nails Talk also gave me the opportunity to review polishes and I'm really, really thankful for that. Especially to Mei Mei from Mei Mei's Signatures for always trusting and believing in me. When it came to photographing my nails, I pushed myself to improve as I believe a picture speaks a thousand words; experimenting hand poses, lighting and camera settings. Looking back at the photos from 2012, there were a few photos that made me cringe but I can safely say now that I have improved, not by leaps and bounds but better than when I started out. To start things off, I've compiled a list of the top 5 viewed entries. To start things off, I have compiled a list of 5 of the viewed entries. As compared to professional nail bloggers, the page views are peanuts but it's an achievement for me given that I don't update regularly and don't do much promoting. 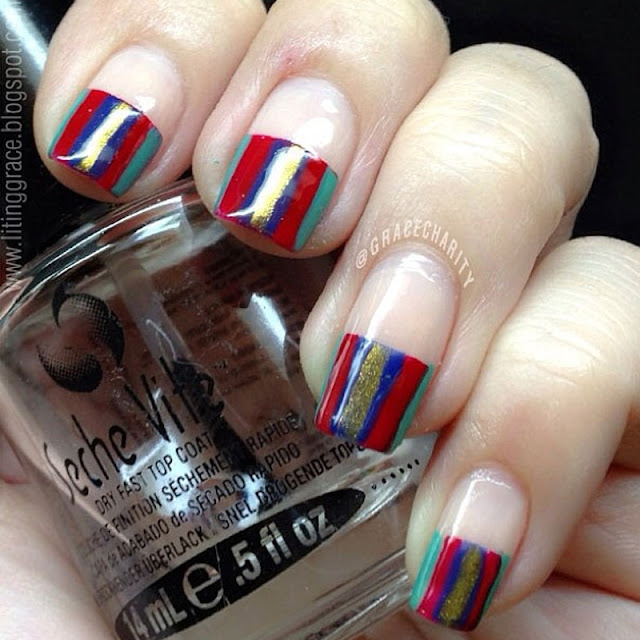 For the second part I have chosen 5 favorite nail art (in no particular order) which I created in 2013. This included those that appeared only on my Instagram account. Coincidentally this was also the most liked nail polish related post on my Instagram account. My very first attempt at Saran Wrap manicure and I love how it turned out. It's a tie between the set which I created for Jill and Terence's wedding and that for Christmas Day 2013. 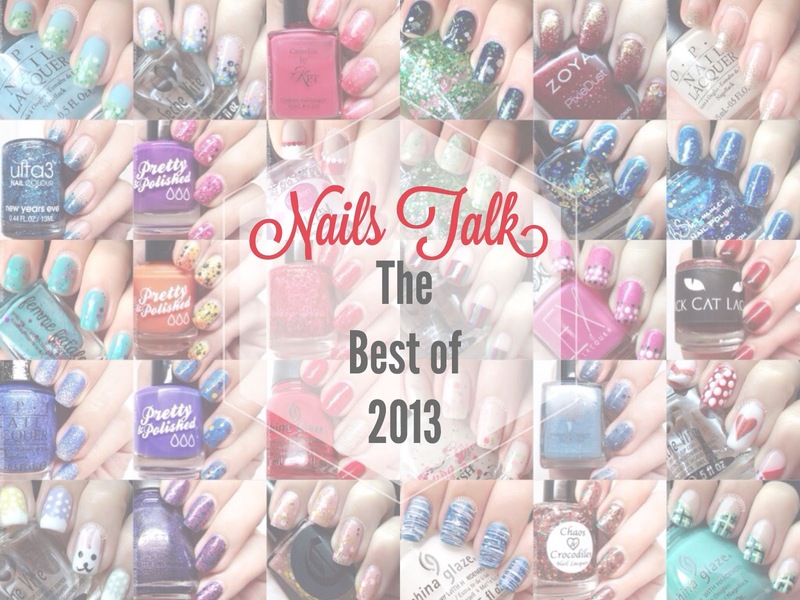 Coming right up, which is also the final part are my top 5 favorite indie polishes of 2013! It wasn't easy selecting the polishes as my collection has grown a lot and there are still many untried polishes. By now it's pretty evident that I'm a lover of color changing polish and this was the color changing polish that stole my heart. Superb formula, smooth application, it's red and color changing, I didn't even have to think hard for this. I never thought that yellow polish would suit me but Bethany proved me wrong. Yellow base and purple and pink glitters, beautiful combination. No complaints about the formula and application either. This was the one that almost got away. Candy Corn had been on my wish list for the longest time and I stroke gold when Mei Mei stocked it on her store! It's no secret that Pretty & Polished has got really good thermal polishes and this with its jelly base is versatile enough to be worn on its own or as a jelly sandwich manicure. Bonus points for the amazing formula and application. Now, this was a surprise winner and it beat Kelvin Bleu to make it to this list. I remembered how when I tried it for the first time, the formula was not to my liking and I chucked it aside. One day I decided to give it another try and for some unknown reason, it applied smoothly! 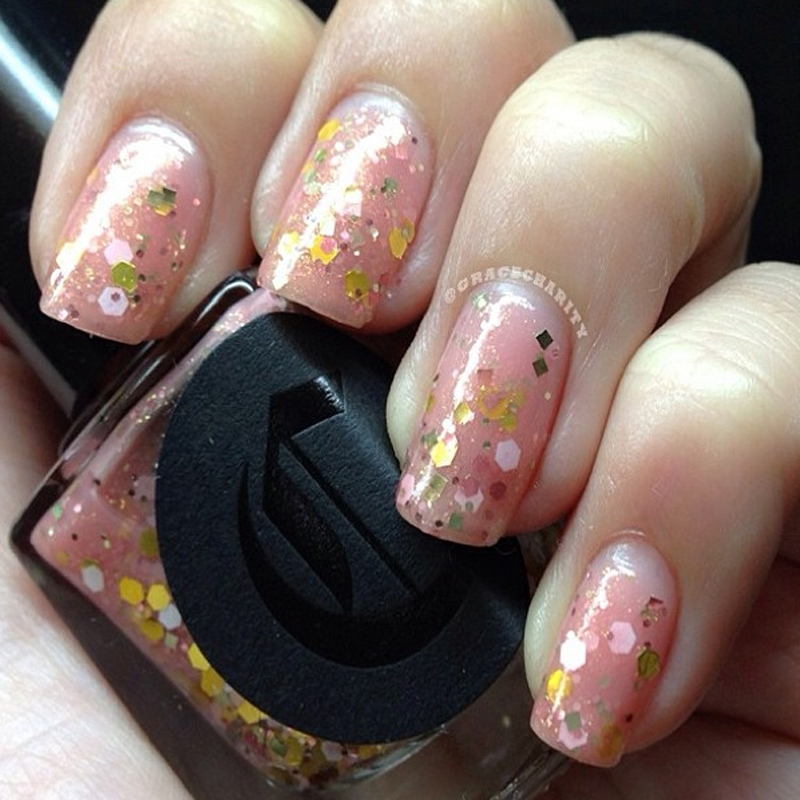 The color shifting glitters was one of the reason that made this one of my favorite indie nail polish in 2013 too. Out of my collection of glitter toppers, this won my heart with the heart glitters. And also because it's versatile to be layered over a dark or light base. And so that's the best of 2013 for Nails Talk. Which of the polishes do you own or like? And what other indie polishes or colors do you fellow polish lovers recommend? That's all for "The Best of 2013" series; I will be back with another 2 parts, so do check back again.